Realme 2 Pro updated with March 2019 Android Security Patch! Realme has a good track record as far as the software update is concerned. While some were just minor updates, [sic] realme never misses pushing the Android Security Patch level of their phones. A good indication of the brand’s commitment to its customers. Earlier this week, realme has announced its update plan for April to June 2019. 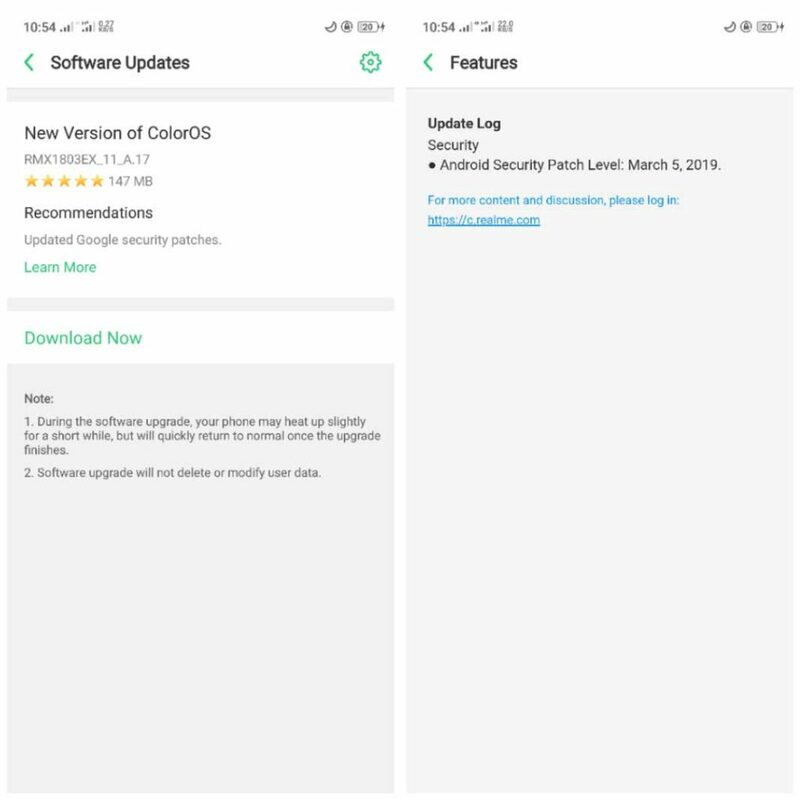 While no mention of updates for the realme 2 Pro for the month of April, users have started getting Android security patch update for the month of March. Google is rolling out an Android security patch update every month to fix the security vulnerability of our current Android OS. Such patches (also called bug fixes) will also help improve the usability and performance of our smartphones. You can check the update on your realme 2 Pro smartphone by going into Settings, and look for Software updates. Note that this may be a staged rollout. So if your phone didn’t receive the update, this should be made available to you in few days. See also: Realme 2 Pro to get Nightscape Mode alongside ColorOS 6! Last month, the company confirmed that all their smartphones will get Android 9 Pie (ColorOS 6) H1 2019. Exact days were not given, but the update, as per the schedule they posted, will be available in June. The realme 2 Pro is also among the first realme smartphones to adapt the Nightscape and Chroma Boost feature which debuted on the realme 3. Knowing how capable the camera hardware is on the realme 2 Pro, this feature will surely work best. We are also excited to try that out. So stay tuned. See also: Realme is “reconsidering” Camera2API for the Realme 2 Pro! The realme 2 Pro comes with a large 6.3-inch display, with Full HD+ resolution. It is powered by Qualcomm Snapdragon 660 AIE with either 4/6/8GB RAM and up to 128GB of expandable storage. For the imaging, the realme 2 Pro comes with 16-megapixel selfie camera (f/2.0), and a Sony 16-megapixel primary camera (f/1.7) with PDAF and 2-megapixel depth sensor. Keeping the power on, is a 3500mAh battery, with battery power saving feature by realme. Samsung Galaxy S10 to debut with Bright Night!